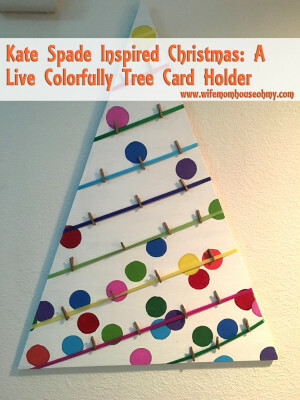 I saw this amazingly simple card holder last year on. Sadly, I don’t remember where but it did make an impression on me. 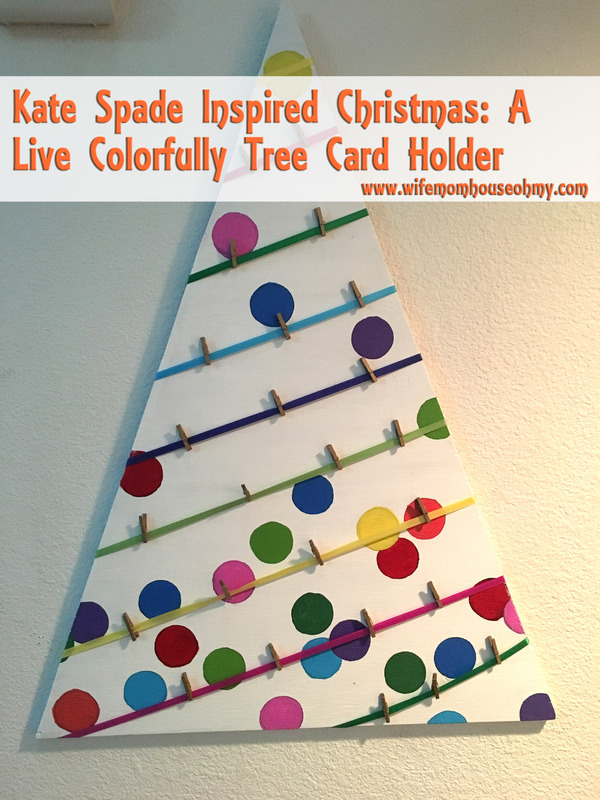 And when I decided I wanted to do a Kate Spade inspired Christmas, specifically her Live Colorfully line, I knew exactly what I want to do using it as the base design for a Kate Spade Inspired Live Colorfully Tree Card Holder! 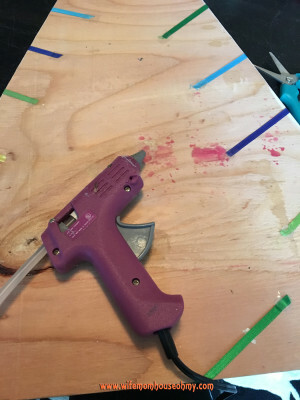 One of the best features of this particular project was the cost! The plywood was a scrap piece and cost a whooping $0.25 and the gold clothespins I used to attached the cards cost less than $3.00. We are not talking a high ticket item. Plus, its a super simple DIY too. 1. 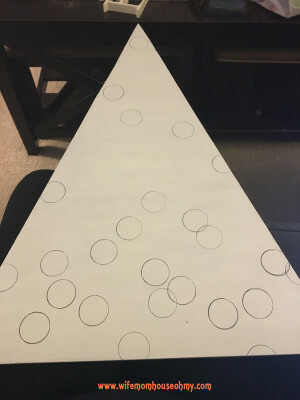 Now I have a very helpful husband and one big busy weekend, and my very helpful husband did all the measuring, cutting and making the perfect card tree base for me. 2. 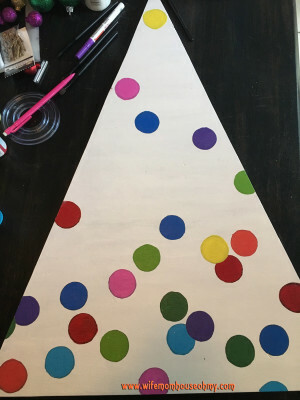 Once I had my base all set, it was a simple matter of pulling out the Martha Stewart paint and painting it completely white. 3. Next, I took out my hand circle template and randomly traced circles – a few at the top and building up the amount closer to the bottom. 4. Pull out the Martha Stewart paint again, and paint in the circles. It took about three coats to make sure it had really good coverage. 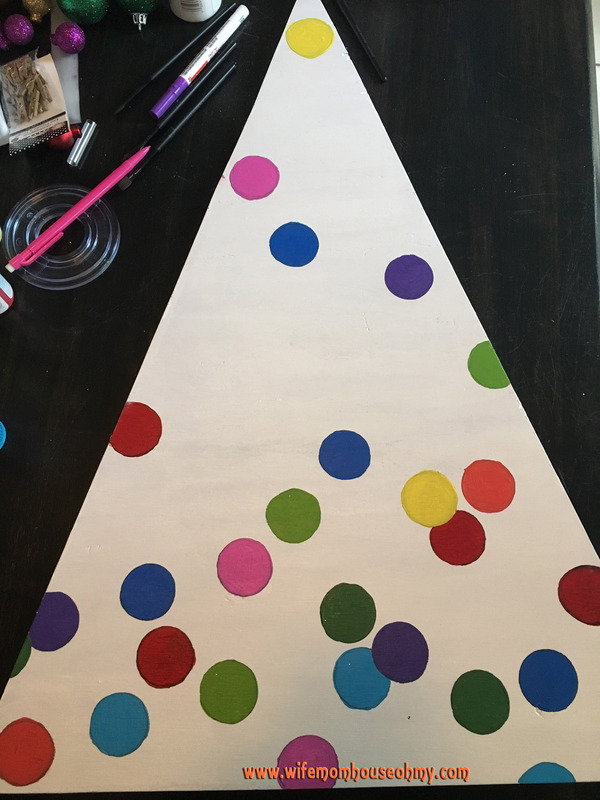 Since it was a Kate Spade Live Colorfully inspired tree, more colors the better. 5. 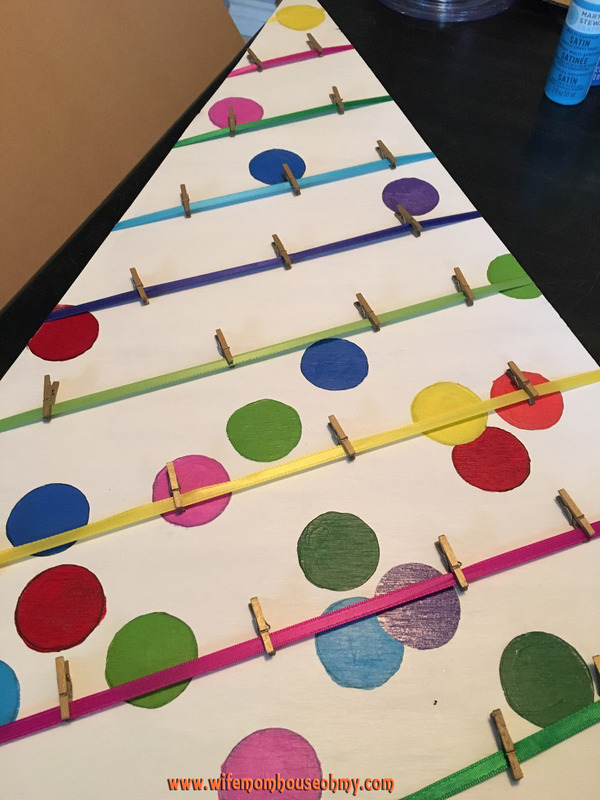 Once dry, I added the ribbons to the board. I wanted them at an angle. It was a simple matter of measure and leaving an inch and a half longer on each side. 6. 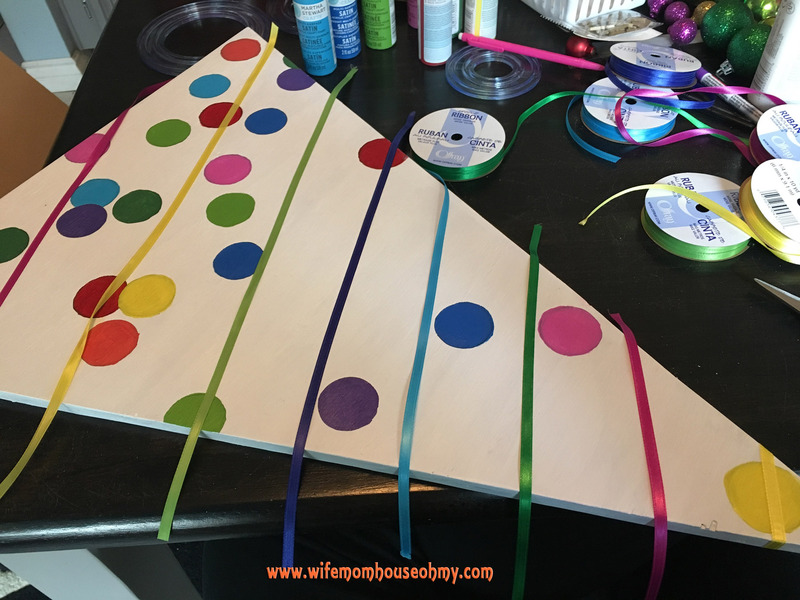 I used hot glue to attach the ribbons to the back, followed by some packing tape – to make sure it had extra coverage. 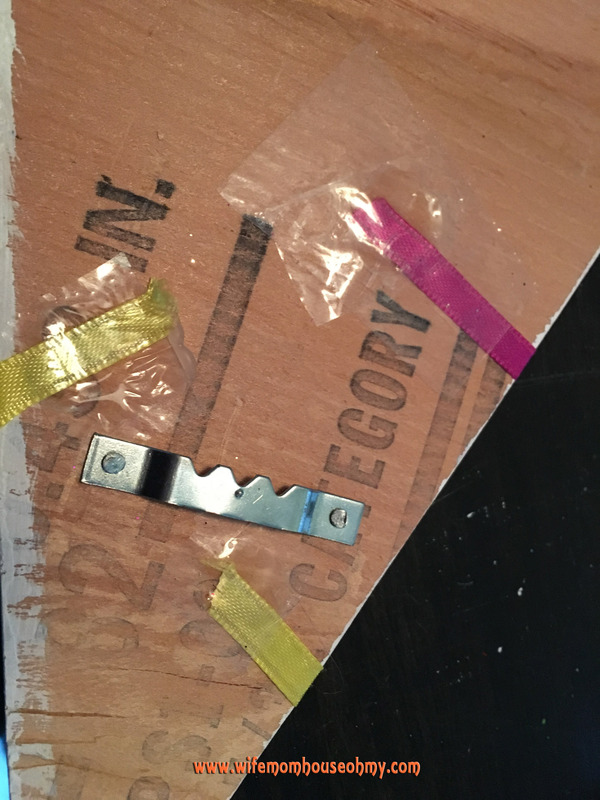 Tip: Put a small piece of scotch tape on the ribbon, then add the hot glue. 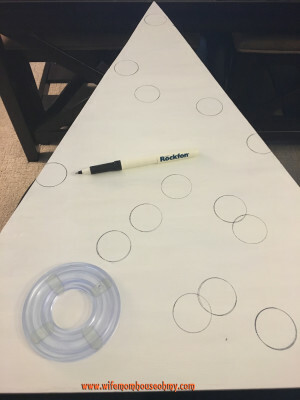 The tape acts as an extra surface for the glue to adhere to. 7. Next, I attached the photo frame hook – the thingy that allows me to hang it on the wall. 8. 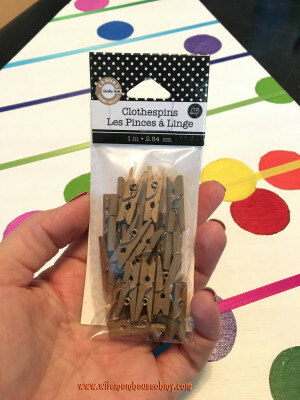 Last, was the clothespins. I loved the gold ones I found at JoAnn Craft Store. They were the perfect size and the perfect price. And they are pretty sturdy. Hung it up and I was done!